Recognize which patients are at risk for aspiration and ineffective airway clearance. Trauma patients’ compromised airways may be easy to see, but other patients may have conditions or injuries that are not as obvious. A weak and ineffective cough, drooling, pooling of secretions, and pulmonary edema are all conditions that may warrant oral suctioning. Know what to avoid when suctioning. There is never a contraindication for oral suctioning. 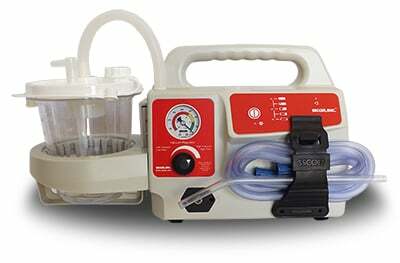 If a patient has secretions, vomit, blood, or other contaminants in the airway, remove them as quickly as possible using your portable suction unit. However, it’s best to avoid any sutures the patient may have in the mouth and be cautious with open sores or sensitive tissue. Always perform a pre- and post-respiratory assessment. Your assessment skills are arguably your best asset. Comparing your baseline assessment with your assessment after suctioning will let you know if the patient’s condition is improving or worsening. Use objective findings, such as oxygen saturation and breath sounds, as well as subjective findings, such as the patient’s report of dyspnea, to paint a better overall clinical impression of your patient. If appropriate, ask the patient to cough prior to suctioning. Coughing loosens retained secretions, making them easier to remove. Additionally, asking your patient to do this allows you to assess the patient’s ability to effectively cough and determine their ability to clear their own airway. 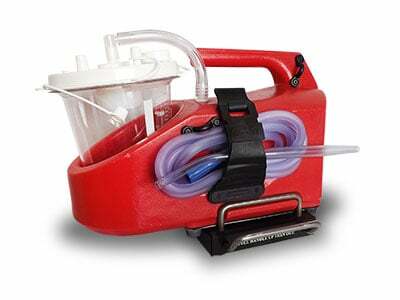 Apply the right amount of suction for the right amount of time. 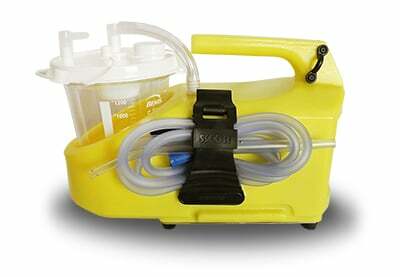 Be sure to use a suction unit that can easily adjust according to your needs and the needs of your patient. 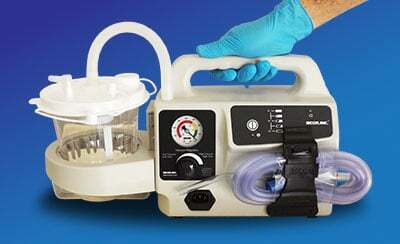 Avoid suctioning for longer than 15 seconds when possible because this can lead to your patient developing hypoxia. 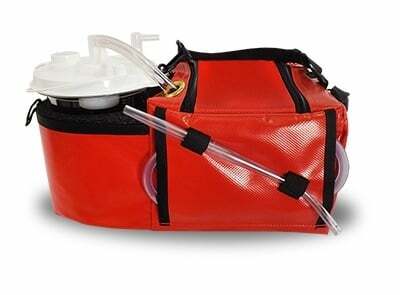 Make sure your portable suction unit and disposables are readily available, in working order, and disinfected between use. A no-brainer, right? 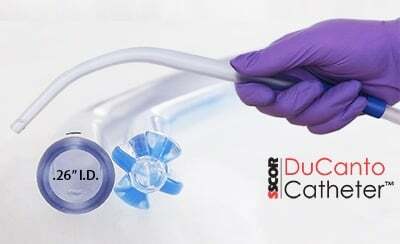 Yet some providers assume their suction unit works and is disinfected, which will only set you up for a situation in which your equipment will be unusable when you need it the most. 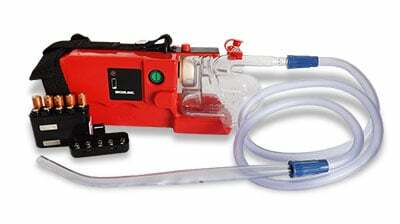 Best practices for portable suction device maintenance include checking the unit’s batteries at the beginning of your shift and after every use, sanitizing the unit after every use, making sure to never reuse disposable equipment, and storing the unit and all its accessories and disposables together. Use equipment and supplies that help you maintain a clean environment. Let’s face it: The prehospital environment is rarely clean and controlled. Make sure to perform meticulous hand hygiene before and after caring for your patient and use non-sterile disposable gloves. Use additional PPE, such as eye protection, to prevent oral secretions from splashing into your eye. Additionally, consider using a clean towel on the patient’s chest to help keep the procedure clean. 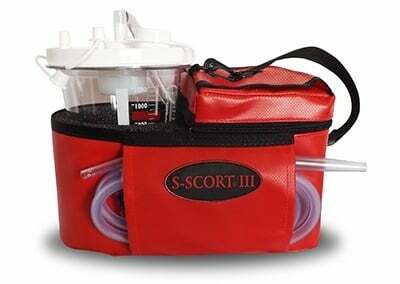 Use equipment that improves your efficiency while maximizing safe patient outcomes. To choose the right suction machine for your agency, download our free guide, The Ultimate Guide to Purchasing a Portable Emergency Suction Device. Oropharyngeal suctioning may be a fundamental procedure for prehospital providers, but that does not mean it is without risk. 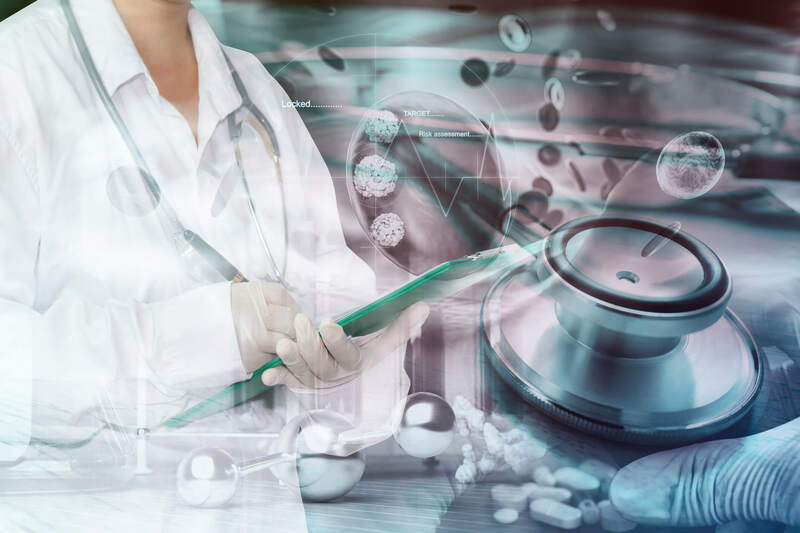 Following these tips for safer patient care improves patient outcomes and decreases the risk for complications associated with this procedure. Use these tips in your own practice to make sure your patients are safe during oropharyngeal suctioning.